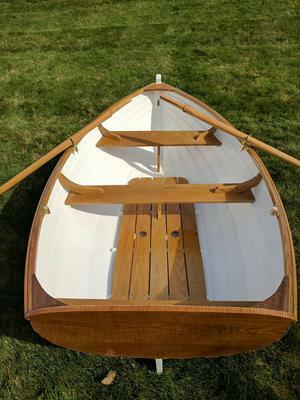 This classy little Auklette yacht tender is newly built and designed by Ian Oughtred. 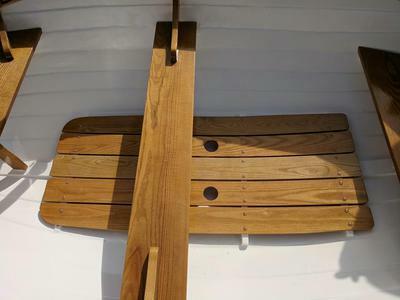 The hull is Okkume mahogany and the rest is ash and sassafras. West System is used throughout. There are 4 coats of sealer, 2 coats primer, and 5 coats of paint/varnish. 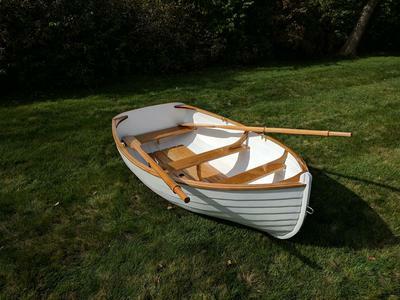 This little gem weighs in a 68 pounds and will make fine yacht tender for the discerning boatman. More photos available upon request. $2,950.00.